Please note: If PayPal does not automatically redirect you to download page, click on "return to merchant" link. 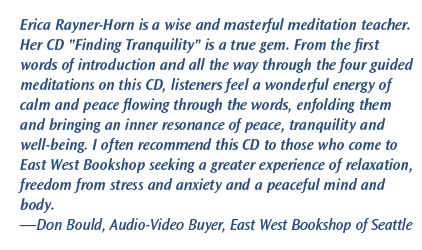 These intense times can be challenging-discover how this acclaimed CD helps you deeply relax body and mind, reduce tension and anxiety, and develop a sense of calm and balance in the midst of the stresses of everyday life. This full 79-minute CD is a complete program that introduces you to Mindfulness Meditation. It guides you with clear step-by-step instructions through 4 meditations and explains how to integrate mindfulness into your normal everyday activities. Both beginners and experienced meditation practitioners are successfully using Finding Tranquility-Guided Mindfulness Meditations to develop and deepen their mindfulness practice. See the endorsements below from teachers, therapists, writers, University professors, a ballet dancer, financial consultant, Tibetan Buddhist lama and others. Drawing on her meditation experience of more than 30 years, and her extensive training in Zen in Japan and in Tibetan Buddhism and Dzogchen in the USA, Rayner-Horn simplifies long and complex practices, into a simple, accessible, easy to follow program. Having studied with some of the foremost meditation teachers in different traditions she is able to share with you the essence of these ancient meditation practices in a warm, inviting manner that helps you access your own wisdom, clarity and equanimity. 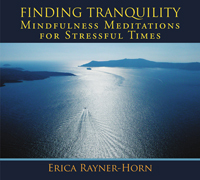 As a psychotherapist in private practice with extensive clinical experience in both England and the USA, and a professionally trained teacher of Mindfulness-Based Stress Reduction, Erica Rayner-Horn brings a wide-ranging experience to her approach to mindfulness. 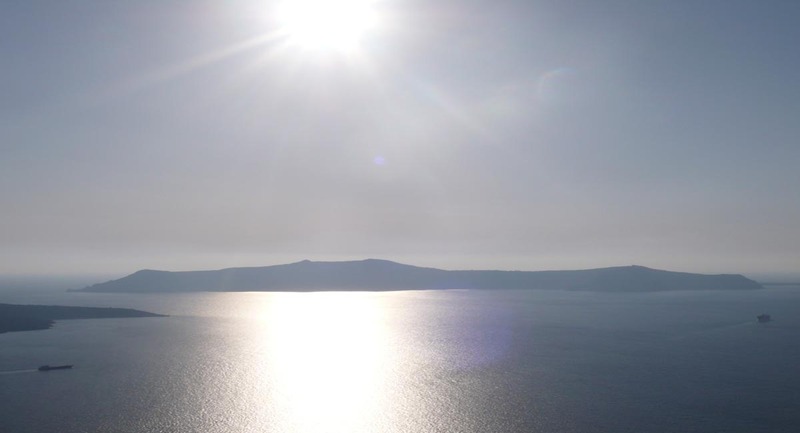 Where can you find relief from the chronic stress that is endemic to these fast- paced, demanding and uncertain times and is so damaging to health and happiness? Join the Mindfulness Revolution (as Time magazine calls it) and discover the ancient art of mindfulness meditation that is a perfect antidote to modern day stress. These guided mindfulness meditations, created specifically to ease physical and emotional stress, will help you slow down and transform tension and anxiety into calm and tranquility. As you practice these meditation you will become more aware of your feelings, thoughts and sensations as you bring conscious, non- judging attention to everything that arises in your experience- reversing the tendency to check-out as you practice checking-in with yourself. You’ll discover that when held in awareness with gentleness and self -compassion every moment has the potential for healing and restoring your life to balance. Deeply relaxing your body and mind will help you feel a sense of equanimity and calm in the midst of the pressures of everyday life. And you may find that bringing kind acceptance to yourself and others not only helps you cope better with life's challenges but also improves your health and fosters a sense of deep joy and wellbeing. This complete 80 minute program guides you through clear step-by-step instructions on how to develop a mindfulness meditation practice and how to integrate it into your life. It is a perfect introduction for beginners to mindfulness meditation and it helps experienced meditators develop and deepen their practice. The Foundation of Mindfulness Meditation: what it is and how to establish the proper posture. Mindfulness of Breathing: the fundamental practice that anchors you in the here and now, quiets your busy mind and deepens awareness of your moment-to-moment experience. Mindfulness of Body: the practice of embodied awareness that invites you to pay attention to bodily sensations and come home to being fully present in your body. Deep Relaxation: releasing tensions, tightness and constriction in both body and mind and dropping into your own inner oasis of peacefulness. Mindfulness of Thinking: essential guidance in working with the constant stream of thoughts by letting them come and go in non-judgmental, open awareness. Mindfulness of Spacious Awareness: resting in the natural state of unlimited awareness, or Sky- Like Mind. To Begin: listen to the explanation on mindfulness and posture and then practice with each of the four guided meditations individually until you're familiar with them. You may find that one of the meditations is particularly helpful to you and you should continue with that one until you are ready to move on. Daily Practice: take time every day to practice at least one of the guided meditations in this program. Practicing regularly is much more important than how long your sessions are. Try to begin and end your day with meditation. Silence: As you become more stable in your practice you may pause the recording for longer periods of silence between the spoken words. Integrating Meditation In Everyday Life: remember to pause and take several breaths before eating, driving, or making a phone call. Try to walk slowly and mindfully, and notice when you're tense or anxious and focus on deep mindful breathing. When "lost in thought," distracted and not present, gently bring yourself back to the here and now. The more you practice mindfulness it becomes part of your life and you'll find yourself feeling more centered, calm and resilient – no matter what challenges come your way! May you find deep and lasting tranquility. I highly recommend this wonderful CD! It is particularly effective for those experiencing stress. I have been listening to and practicing the meditations, all of which are excellent. Our clients in the Mindfulness-Based Relapse Prevention program use it, and the feedback is very positive. 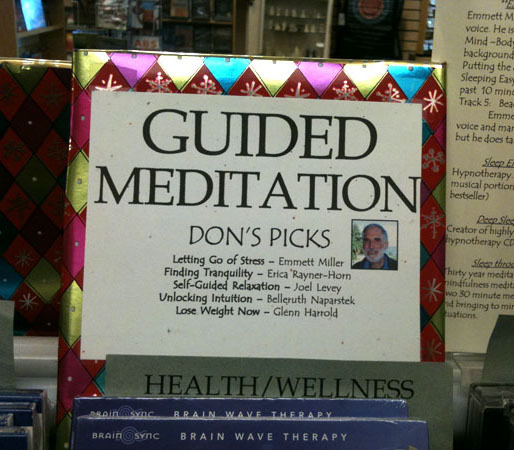 Carries the beautiful soothing voice of an experienced meditator with many years of experience. Transitioning from our busy lives to peaceful meditative awareness is challenging -this program takes you there. Listening to you speak to me I relax and my shoulders -clear up to my ears due to stress levels- literally drop down again! As I focus on my breathing, coming into the present moment-I feel the euphoria of my childhood again…. I float away from a session a happier, more aware individual, who cherishes the present moment! As a Marriage and Family therapist, professor and cancer patient, I have listened to many CD's of this genre over the years. This is for me, without a doubt, the most masterfully scripted, gently spoken introduction and convincing approach to mindfulness meditation. I return to it again and again. Erica’s clear, kind voice evokes the very tranquility she teaches- intelligent kindness resonates in every word, inspiring us to be fully present. My mother relaxed into such a healing depth after her surgery, thanks to your CD. You are truly present as you speak, so that the listener is present with you, and so immediately successful in the practice...without even trying! I love spending time meditating with your CD! I enjoy the meditation “Relaxing- Releasing Tension in Body & Mind” very much, I think it is nice that you combine the breathing with it, that way I get to be aware of my breathing and also get to release tension. Erica’s voice is amazing-so soothing! I love these meditations and listen to them frequently-they do help me find tranquility. A wonderful gift to give myself, to relax after a long day! I recommend it. I have worked through each of your meditations during my practice and I think your CD is excellent. I like each of the meditations very much. I feel you have succeeded in transmitting something of your own many years of practice and of the blessings of your teachers. 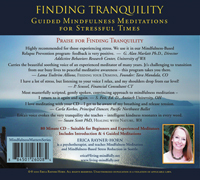 Erica's soothing voice, calm pace, and concise description of mindfulness make this a must have CD for all meditation practitioners, new or seasoned. A powerful and delightful introduction to mindfulness and meditation, Erica’s calming presence, wise words, and beautiful voice permeate throughout. This is a wonderful addition to my life. Even listening to the introduction, I feel more grounded & centered. It is very accessible and requires no experience with meditation. I have given this CD as a gift, and will continue to do so. In today's stressful climate, we can all benefit from being more present and aware. Thank you Erica for sharing your wisdom with us. 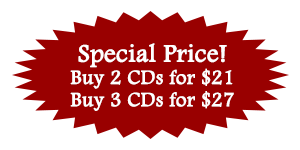 Just the advice on how and why to meditate is worth the price of Erica’s CD, not to mention her guided meditations…her very kind voice inspires deep relaxation and the sense that all is well with the world. It is a pleasure to endorse Erica Rayner-Horn's new CD. Her calm tone supports the listener on their journey toward mindfulness. This is a lovely antidote to our stressful times.